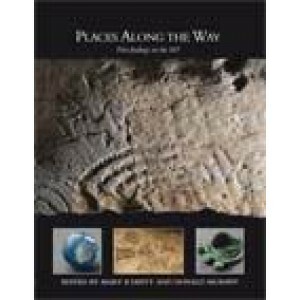 Places along the way presents substantial accounts of and reflections on eight of the most significant sites excavated on the M3 Clonee to North of Kells motorway scheme between Dunboyne and Navan in County Meath—an area incorporating the broader landscape around the Hill of Tara. While the evidence from the sites concentrates heavily on the early medieval period, there are also substantial traces of prehistoric and later medieval activity. The book also contains an important contribution to the documentary evidence for later medieval settlement. Among the interesting results of the excavations is the sequence of burials at Ardsallagh 1, which extends from the later Bronze Age into the early medieval period. This includes some interments that date to the Iron Age, and thus our knowledge of a period that is poorly known from the sites and monuments record is enhanced. One of the more striking achievements is the discovery of the ceremonial post enclosure at Lismullin. The current dating evidence places the ritual site between the late sixth and the early fourth century BC and situates Lismullin firmly within the series of Early Iron Age ceremonial monuments. The investigation of a number of human burials of the later Iron Age and early medieval period, not least at Collierstown, has shed new light on the gradual Christianisation of the landscape. It appears that traditional cemeteries continued in use but the burial practices gradually changed under the influence of ideas from overseas. The importation of exotic pottery from the Mediterranean lands gives a hint of the links that the new Christian world opened to the inhabitants of Meath at the beginning of the early medieval period. Early medieval enclosure complexes excavated at Castlefarm, Roestown, Baronstown and Dowdstown all give the impression of thriving development in a settled landscape and clearly represent the habitations of people of substance in the area. We ma y see in their scale and elaboration an increasingly sophisticated reorganisation of the landscape during the second half of the first millennium AD, reflecting the increasing power of Irish regional kings who had real political authority and the coercive power that enabled them to redraw the map of early Ireland. The chapters describing the individual sites in this volume are all interim statements written while post-excavation research w as continuing; however, man y of the conclusions tentatively proposed here are unlikely to be radically altered by further research. In advance of full publication, the early dissemination of major statements on these important sites is a welcome achievement. Publication Data Published November 2009, paperback, xvi + 197pp, illustrated.